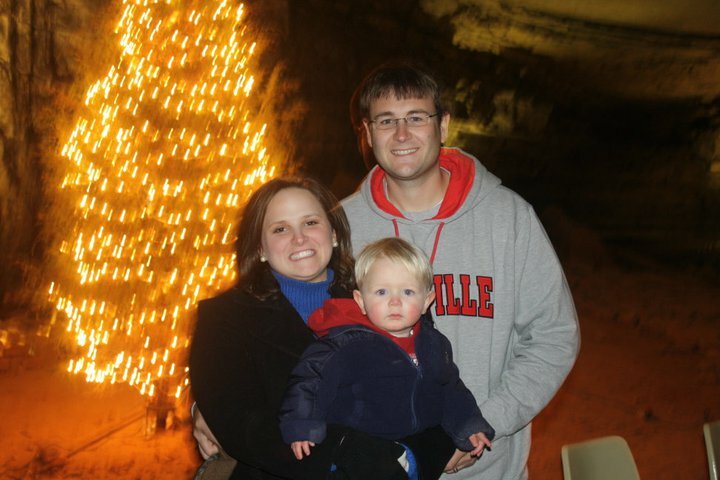 Yesterday marked the annual Cave Sing with Adkins family. 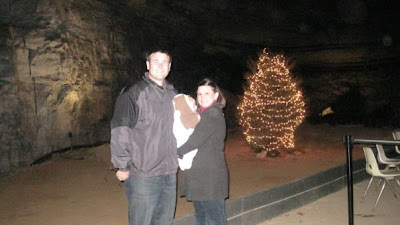 Every year we all head to Mammoth Cave to do a little caroling. It was really warm here yesterday, but we bundled up for the cave anyway. The boys were so excited to see the Christmas Tree and hear all the music. They've definitely become more active this year. Our little family listening to the music. We didn't stay the entire time because the boys were getting rowdy. That, and we wanted to see Santa!!! The following picture is TERRIBLE of me. However, I'm going to be a good sport and put in for memories sake. We ate some yummy cookies and drank cider before heading back to our house to hang out. The boys were so much fun this year. It's exciting to think about what exciting things could happen this next year for our families!! Just look at how amazing the past three years have been! !